Home » HIPAA Compliance News » What is Considered Protected Health Information Under HIPAA? Protected health information – or PHI – is often mentioned in relation to HIPAA and healthcare, but what is considered protected health information under HIPAA? What is Considered Protected Health Information Under HIPAA Law? If you work in healthcare or are considering doing business with healthcare clients that requires access to health data, you will need to know what is considered protected health information under HIPAA law. The HIPAA Security Rule demands that safeguards be implemented to ensure the confidentiality, integrity, and availability of PHI, while the HIPAA Privacy Rule places limits the uses and disclosures of PHI. Violate any of the provisions in the HIPAA Privacy and Security Rules and you could be financially penalized. There are even criminal penalties for HIPAA violations. Claiming ignorance of HIPAA law is not a valid defense. Under HIPAA, protected health information is considered to be individually identifiable information relating to the past, present, or future health status of an individual that is created, collected, or transmitted, or maintained by a HIPAA-covered entity in relation to the provision of healthcare, payment for healthcare services, or use in healthcare operations (PHI healthcare business uses). 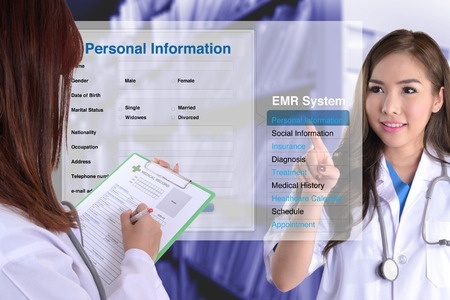 Health information such as diagnoses, treatment information, medical test results, and prescription information are considered protected health information under HIPAA, as are national identification numbers and demographic information such as birth dates, gender, ethnicity, and contact and emergency contact information. PHI relates to physical records, while ePHI is any PHI that is created, stored, transmitted, or received electronically. PHI only relates to information on patients or health plan members. It does not include information contained in educational and employment records, that includes health information maintained by a HIPAA covered entity in its capacity as an employer. PHI is only considered PHI when an individual could be identified from the information. If all identifiers are stripped from health data, it ceases to be protected health information and the HIPAA Privacy Rule’s restrictions on uses and disclosures no longer apply. PHI is any health information that can be tied to an individual, which under HIPAA means protected health information includes one or more of the following 18 identifiers. If these identifiers are removed the information is considered de-identified protected health information, which is not subject to the restrictions of the HIPAA Privacy Rule. How Must HIPAA Protected Health Information be Safeguarded? The HIPAA Security Rule requires covered entities to protect against reasonably anticipated threats to the security of PHI. Covered entities must implement safeguards to ensure the confidentiality, integrity, and availability of PHI, although HIPAA is not technology specific and the exact safeguards that should be implemented are left to the discretion of the covered entity. HIPAA requires physical, technical, and administrative safeguards to be implemented. Technologies such as encryption software and firewalls are covered under technical safeguards. Physical safeguards for PHI data include keeping physical records and electronic devices containing PHI under lock and key. Administrative safeguards include access controls to limit who can view PHI information and security awareness training.